Bengaluru's iconic Opera House on Brigade Road was given a facelift, and now it is called 'Samsung Opera House'. After a two years for Samsung to renovate and restore this place, the Opera House will bring together technology, lifestyle and innovation to offer people unique experiences. 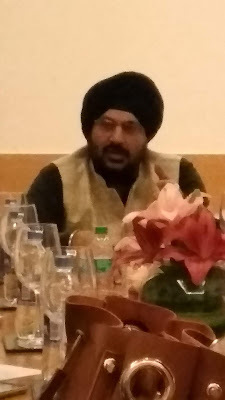 Mohandeep Singh, Senior Vice President, Mobile Business, Samsung India, said the company will showcase all its products- right from smartphones, Smart TVs to Family Hub Refrigerators, among others. Singh added that they are also looking to come up with such experience centres in other cities as well. "Samsung Opera House will have a fully functional customer service centre, and it is also equipped with high-speed public Wi-Fi," Singh said. In India, Samsung has two manufacturing facilities, five R&D centres and one design centre. Samsung's first R&D centre was set up in 1996 in Bengaluru. Today Samsung R&D Institute, Bengaluru (SRI-B) is the Company's biggest R&D centre in the world, outside Korea. It has the largest retail and distribution network in the country with over 1,80,000 retail partners and 2,100 Samsung brand stores spread across the country. In July this year, Samsung opened the largest phone factory in Noida. It had said that it would spend Rs 4,920 crore over three years to expand capacity at its Noida plant. Looking to further cement its position in India, South Korean tech major Samsung set up what is arguably the world's largest mobile experience centre in Bengaluru, barely two months after it opened its biggest mobile factory in Noida. "We are looking at more number of such experience centres in the country. We are looking at covering all the big cities in India over a period of time with such centres," Singh told the media. Also, this would be the biggest-ever display of Samsung accessories such as cases, covers and power banks at the "Samsung Opera House" wherein prospective buyers would be offered customization options for accessories. "They would be given choices such as the installation of military strength skins for screen protection and 360-degree body protection (for phones). They can also get laser engraving done of any design or content on the mobile covers they choose," the company added. Samsung dominated the premium smartphone segment in India in the first half of 2018 with 48 per cent market share, according to a report from from(CMR).